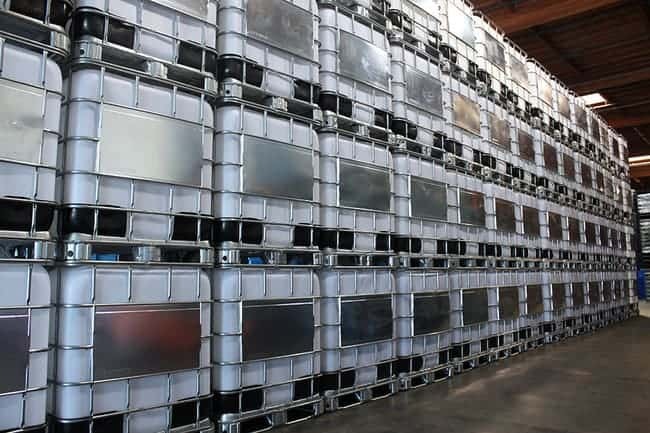 Intermediate bulk containers (IBCs), also known as totes, are reusable containers designed for the storage and transport of bulk liquid, such as chemicals, food ingredients, water, solvents, and pharmaceuticals. These plastic bulk containers are mounted on a pallet for easier forklift and pallet jack accessibility. The white/translucent plastic containers are typically made from polyethylene and housed with a tubular galvanized metal cage. 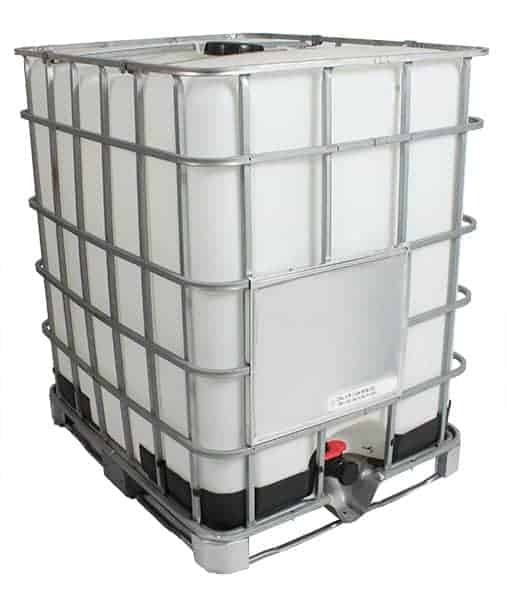 The IBCs are most commonly available in 275 gallon and 330 gallon. All used Intermediate Bulk Containers from TranPak are put through a strict reconditioning process. All bottles are thoroughly cleaned, outside and in, to remove all access materials. Finally, all containers are pressure tested to verify there are no leaks. Looking for a pick up service for your empty liquid containers? 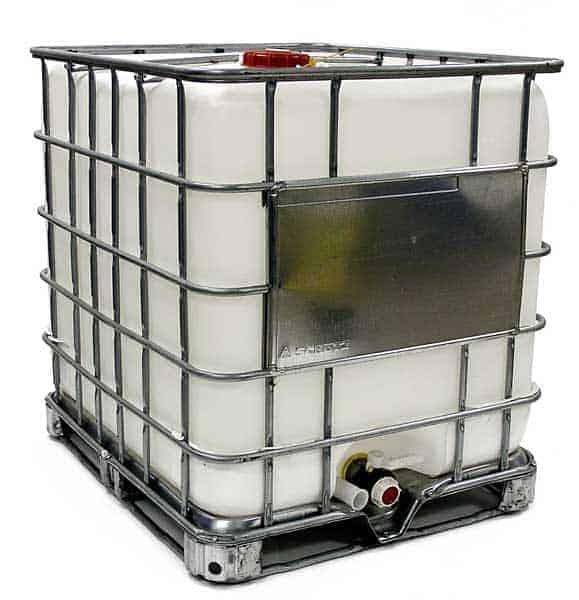 TranPak picks up most IBCs and offers a simple and quick pick up service. Call us today at (800) 827-2474 to get started with an empty tote pick up today! Molded Bottom Shell: Pressed galvanized steel base shaped to support the inner container and assist total drainage. 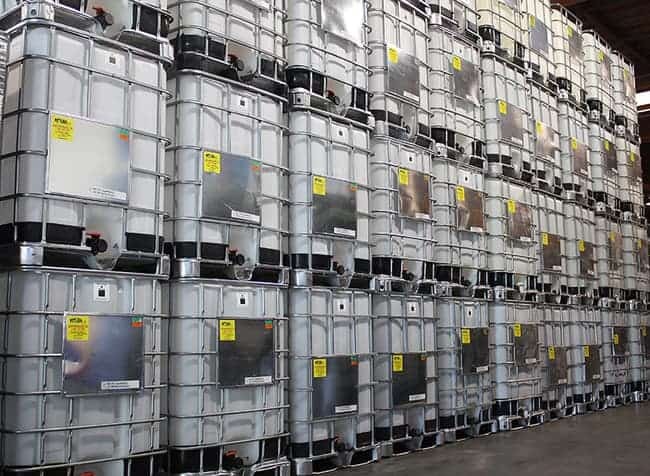 330 gallon IBC is available in new and reconditioned grades. Containers are UN Certified for DOT shipping. Valve and lid options are readily available.